Today latest figures published by Kantar Worldpanel indicated that the skin care and colour make-up sector in China grew by 12% and 10% respectively in the 52 weeks to June 2016, far higher than 3.1% growth reported for total FMCG. The cosmetic sector remains an important growth engine of the FMCG market in China. Chinese consumers are becoming more sophisticated in their beauty usage opting to buy more premium products which is fuelling the value growth of these sectors. This presents brand new opportunities to both international and domestic players. Kantar Worldpanel also published its 2016 Cosmetic Brand Footprint ranking, which measures which brands are being bought by the most consumers, most often. Dabao leads the ranking – its products have been chosen by 23.1% of the population, on average 2 times a year, meaning Dabao products were put into shoppers baskets 76.7 million times during the course of the year. Pechoin occupies second place and was the fastest riser in terms of consumer touch points, adding more than 3.6million families to its brand over the last 12 months. Despite strong growth in the cosmetic market, the competitive landscape in China also went through rapid transformation. Amongst all the 4,000 brands tracked by Kantar Worldpanel, only 40% of them saw an increase in net sales. Amongst the top 20 growing brands in the market, a rise in penetration contributed 78% to their collective growth proving that the continual recruitment of shoppers is the key way to grow sales. Aside from Pechoin, Hans, Innisfree, Dr. Morita and Shiseido also managed to grow their consumer reach faster than the other players. Cosmetic sector maintained double digit growth. This was mostly driven by premiumisation, which made 82% contribution to the market growth. Chinese consumers are smarter and their decision making is more sophisticated; At each purchase occasion, consumers can choose brands at different price levels. There is still significant potential to drive trial of colour cosmetics, and cushion is becoming the point of market entry. 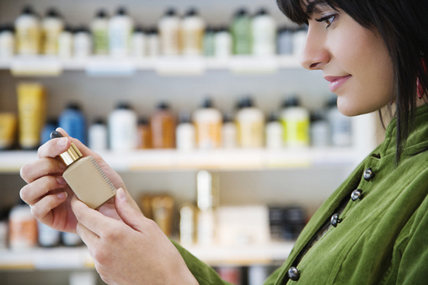 Consumers are embracing natural and safe product concepts. Successful brands differentiate themselves by advocating new concepts, benefits and usage occasions as well as pure and natural ingredients. Kantar Worldpanel’s Brand Footprint Ranking reveals the strength of brands and uses an insightful metric called Consumer Reach Points which measures how many households around the world are buying a brand (its penetration) and how often (the number of times shoppers acquire the brand). This unique calculation of penetration and frequency helps FMCG manufacturers to clearly understand their reach within China in terms of actual consumer reach and provides a vital guide on which market present the biggest opportunities.